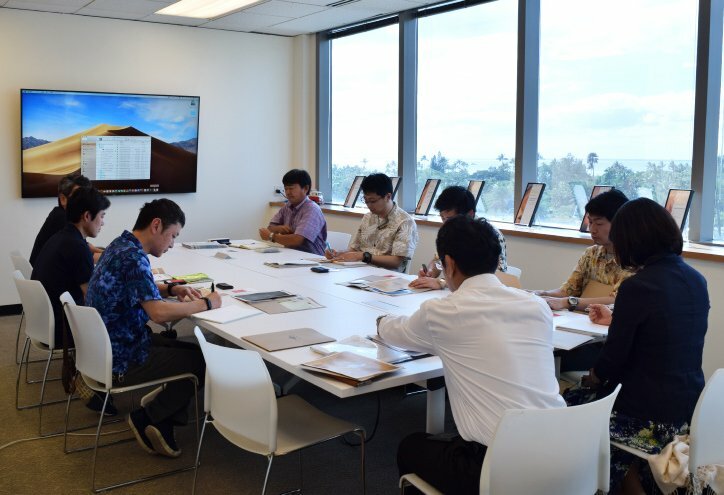 On March 7th, 2019, eight members of the Shizuoka Prefecture’s Atami City Hall, Tourism Association, and Ryokan Association visited Clarence Lee Design to learn about 111-HAWAII, the regional revitalization project of Hawaii. 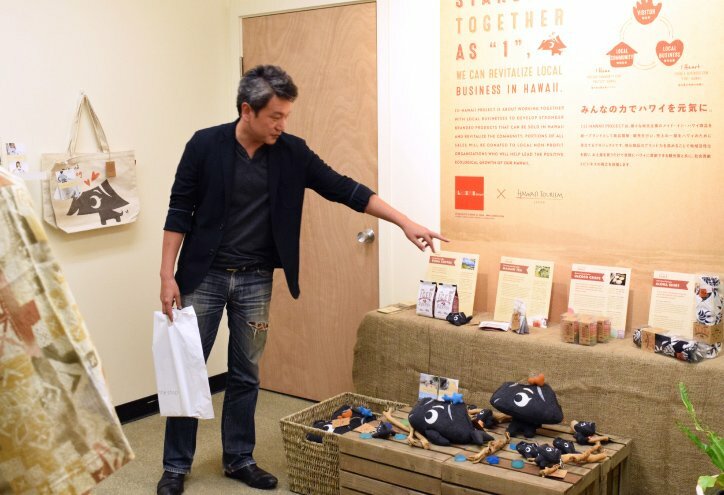 Kuni Yamamoto, the representative of Clarence Lee Design, spoke about the thought process and the operation methods behind the 111-HAWAII Project; the 111-HAWAII Project aims to revitalize the local community by supporting the product development and the sales of Made-in-Hawaii products through a unified brand. 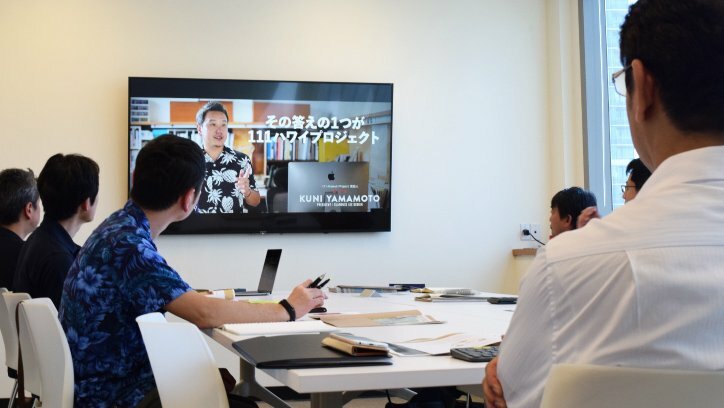 The project launched in 2015 and is officially endorsed by Hawaii Tourism Japan. A portion of all sales is donated to local non-profit organizations that focus on environmental conservation. The name “111” stands for 1 Hand (visitor), 1 Heart (local business), and 1 Home (local community). It also stands for the project’s goals to create a “win-win-win” situation for Hawaii. In the next segment, Taro Yoshida, the representative of the Hawaii Hochi Newspaper, talked about the 111-HAWAII AWARD, a Hawaii ranking decided via online voting. The top rankings from 45 categories are chosen by Japanese fans of Hawaii. The award, which launched in 2017 in response to the “win-win-win” philosophy of the 111-HAWAII Project, not only enhances the satisfaction of the Japanese consumers in Hawaii but also improves the quality of local companies. It is ultimately an initiative that will lead to the revitalization of the local economy. The members that are in charge of the DMO (Destination Management / Marketing Organization) and the regional revitalization of Atami City, enthusiastically listened to us and gave comments that the 111-HAWAII Project was a great reference model for their efforts in Atami. 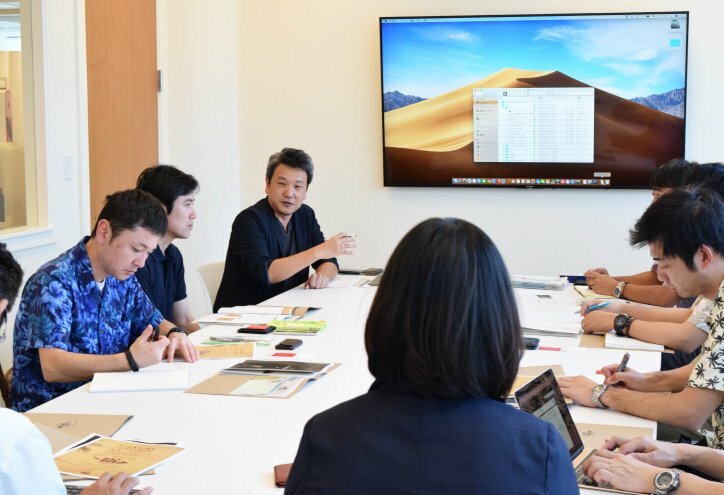 As a company that handles design strategy and branding projects that bridge the gap between Hawaii and Japan, we hope to continue providing such activities that provide a connection between the two countries.